Where else can you catch industry leaders like Marc Raibert (Boston Dynamics), Andy Rubin (Playground Ventures), Melonee Wise (Fetch Robotics), Ayanna Howard (Zyrobotics), Ken Goldberg (UC Berkeley) and many more, all in one place? We’re honored that these leaders will be attending and speaking at the event. Check out more speaker spots here. 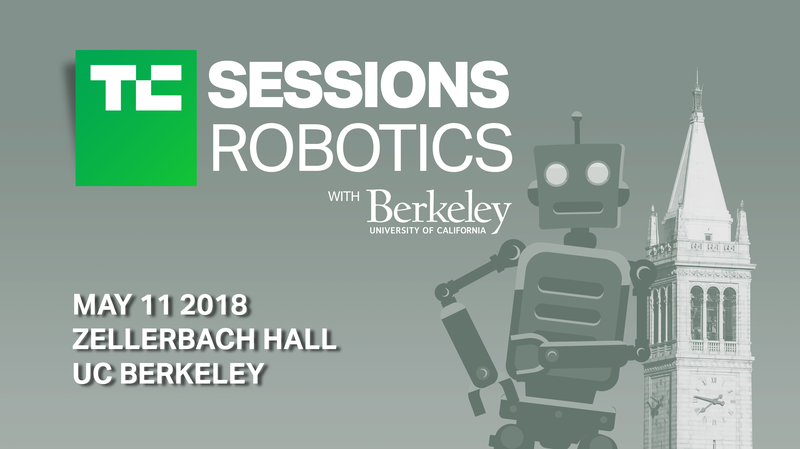 Meet lots of robots and their creators up close, including UC Berkeley’s industrial gripper Dex-Net System, SuitX’s exoskeletons, Agility Robotics’ bipedal Cassie, Boston Dynamics’ new SpotMini and UCLA’s sideways-walking NABi robot. The majority of the top founders and investors in robotics will be onstage and around during breaks to network with and pick their brains. The agenda is impressive and full of top founders, engineers and educators. See the full agenda here. Discover how to turn your ideas into a venture-backable business at the “Starting Up” workshop. Hear Skydio co-founder Adam Bry describe how his team prototyped their way to a stunning commercial launch for a drone that follows you anywhere. Discover everything you need to know about DARPA’s Subterranean Challenge with Dr. Tim Chung. Attendees will get the chance to ask questions and go deeper into these topics. More details about workshops here. Join us this Friday, May 11; get your tickets now before we hit Zellerbach Hall’s capacity limit! Students, don’t forget, you can get your tickets at a significant discount of $45 right here.